Fragment-based screening continues to win popularity as a powerful method for finding new drugs for challenging drug targets. The latest method development, applications and success stories will be on display at the FBLD 2018 conference in San Diego in October (www.ysbl.york.ac.uk/fbld/2018/). 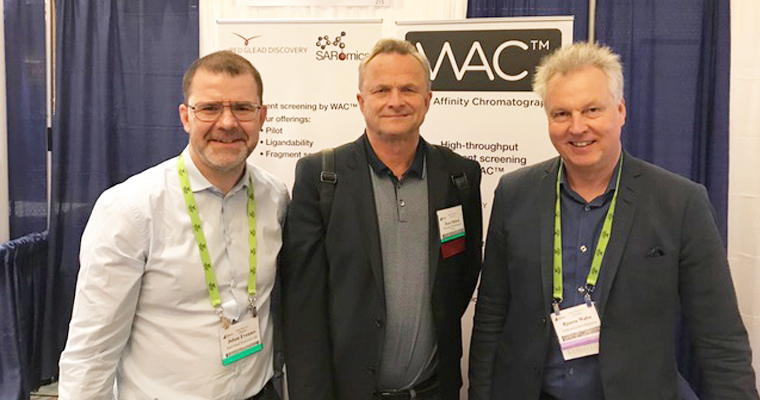 SARomics Biostructures together with Red Glead Discovery will host at booth at the conference promoting their proprietary fragment-based screening method Weak Affinity Chromatography (WAC™). This event brings back the two companies again to San Diego only six months after the Drug Discovery Chemistry conference there they exhibited their technology with great success.